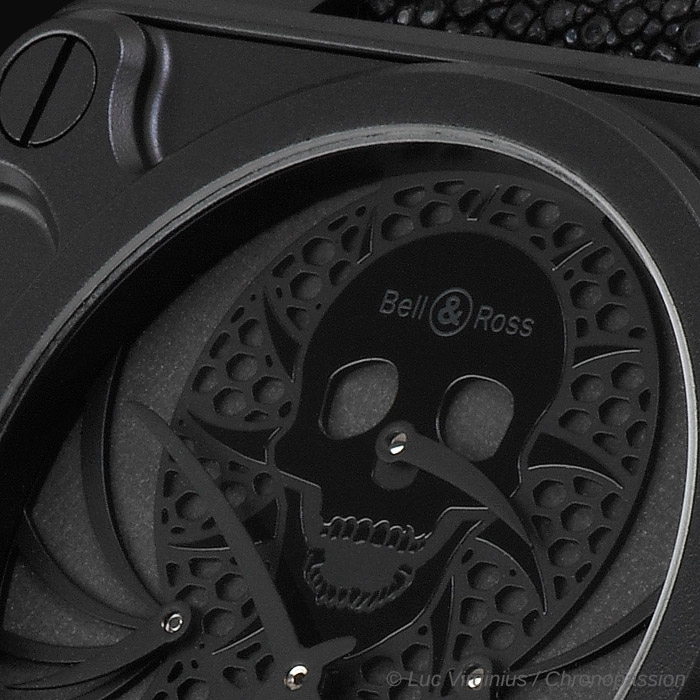 Bell & Ross | 113'000 € Tax inc.
Our number : 17/20 like a result ! 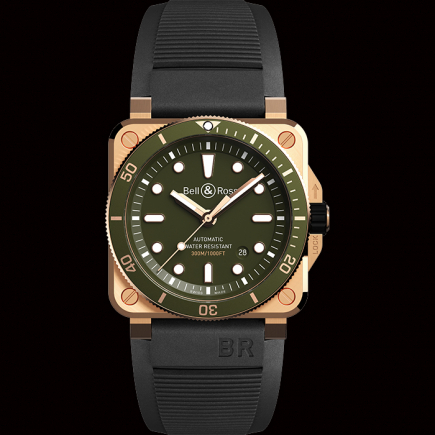 Created in 2009, the BR 01 AIRBORNE model paid tribute to the extraordinary saga of military paratroopers, especially the US Airborne divisions that played such a distinguished role in the Second World War.Rubbing shoulders with danger on a daily basis, the young soldiers had adopted the skull and crossbones as a symbol of their courage to better defy death and intimidate their enemies. The skull and crossbones acted as a talisman during their missions and a continual reminder of how vulnerable they were to danger. 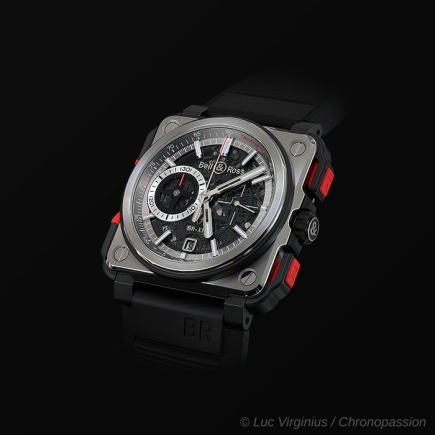 The BR 01 TOURBILLON AIRBORNE is an outstanding time instrument, a combination of military symbolism and an exclusive fine watchmaking movement. 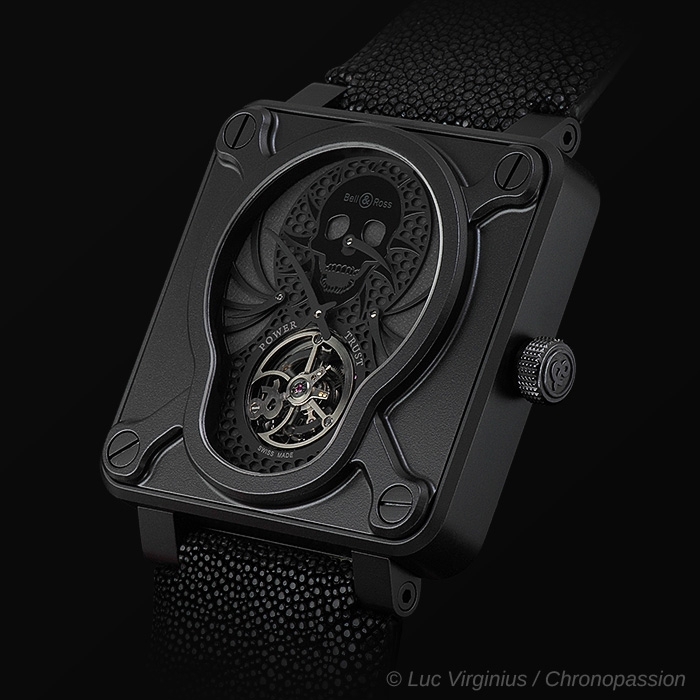 It incorporates four additional watchmaking complications that blend perfectly into the skull and crossbones dial: a tourbillon, a precision indicator, a regulator and a power reserve indicator. 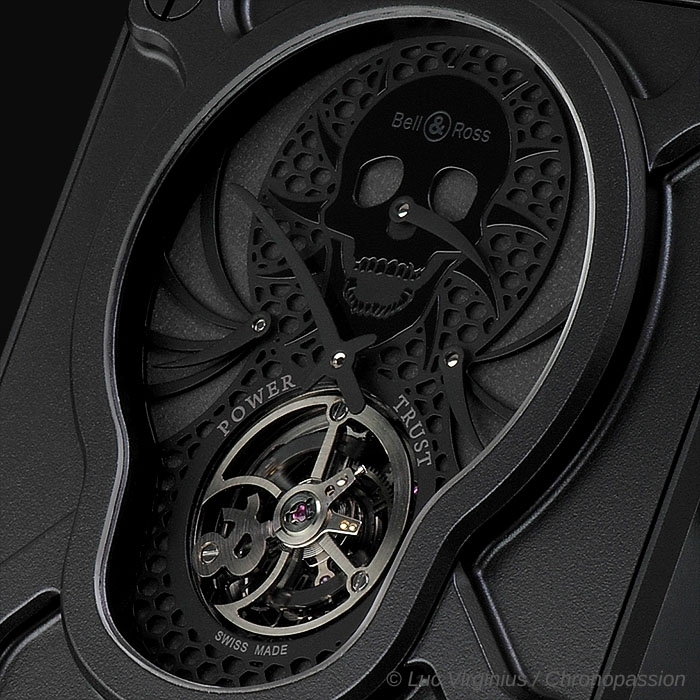 Clearly visible in its carriage positioned at 6 o’clock on the main timepiece, the tourbillon is the most noble of watchmaking complications. 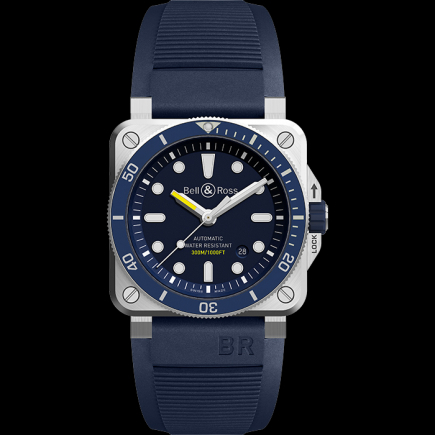 It compensates for measuring differences caused by Earth’s gravity when wrist movements rotate or accelerate, thereby improving the running precision of the watch. 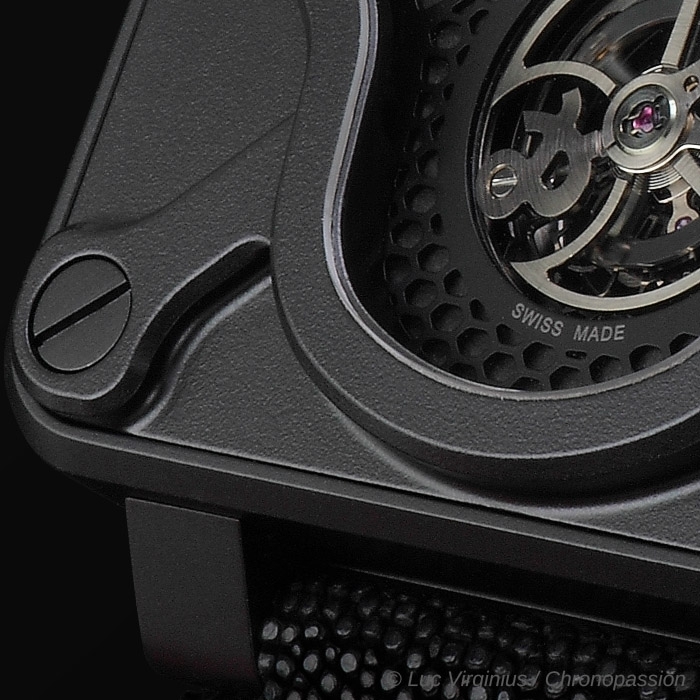 The sophistication of this mechanism is truly a technical innovation that has called upon all the skills of in-house engineers and the cream of Swiss master watchmakers. 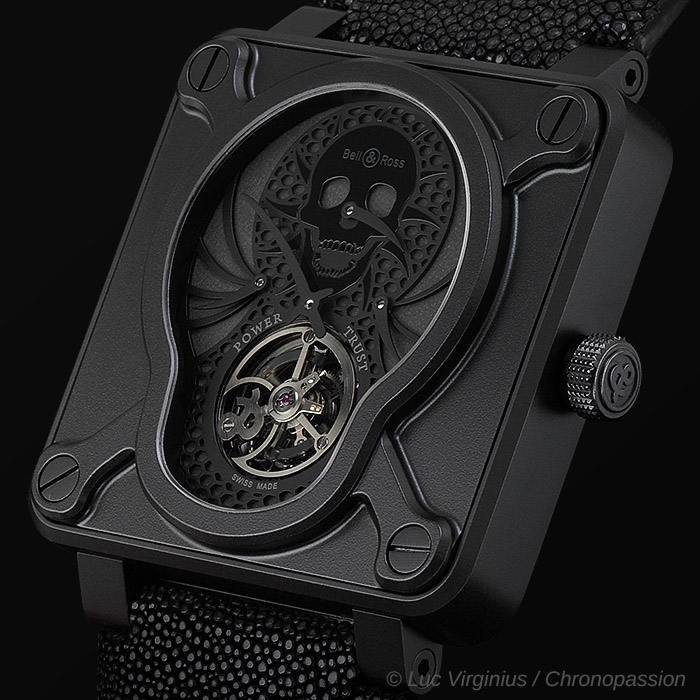 The model has a 3D skull and crossbones dial that counts the hours, defying time further. 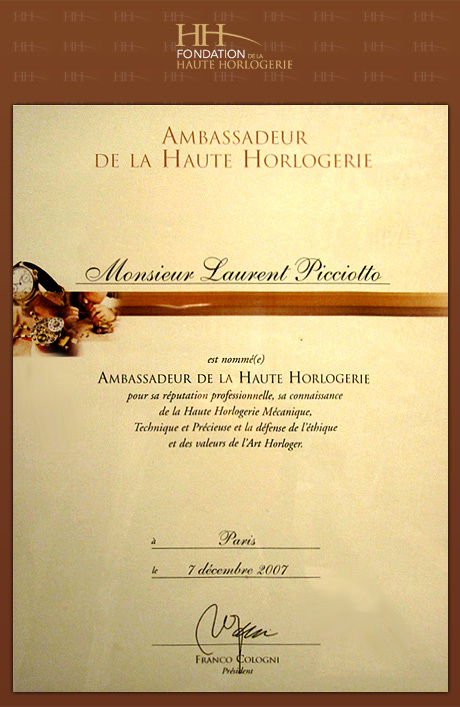 The precision of its sophisticated structure is only possible thanks to today’s technological tools. 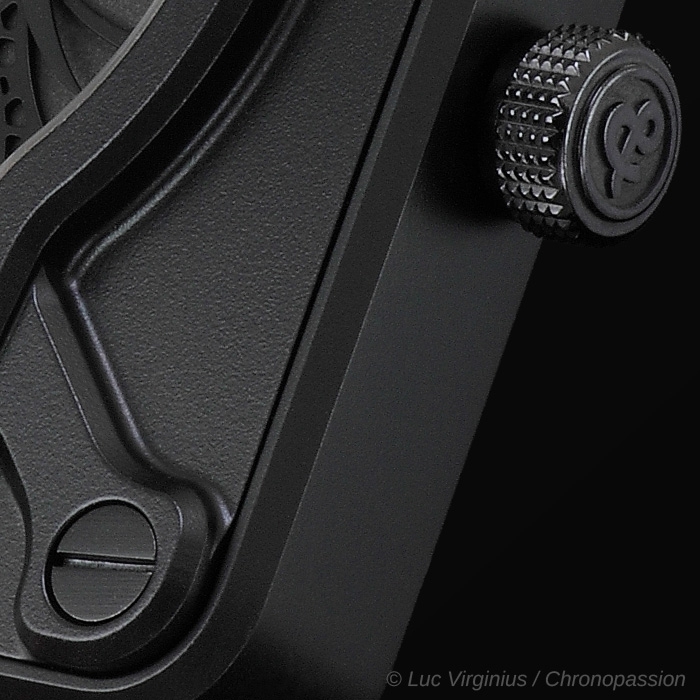 The DLC-finish titanium case in its «phantom black» tone-on-tone finish is strong and lightweight while at the same time discreet. 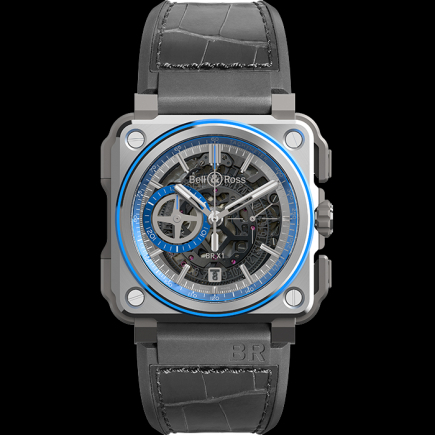 The black shagreen strap upholds the watchmaking qualities of this exceptional piece. 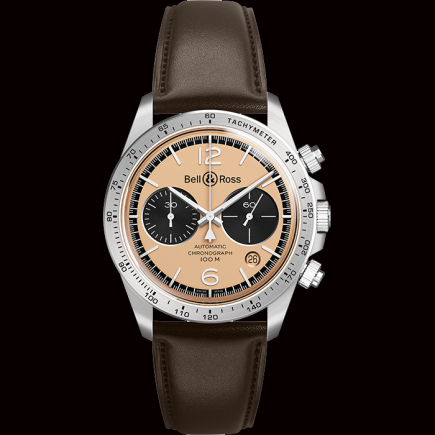 Bell&Ross is going beyond military symbolism with this new, exclusive model. Its sophistication recalls man’s vanity as portrayed in the world of art: works that remind men of the fragility of life and their humility when facing death. Carbon fiber mainplates and bridges. 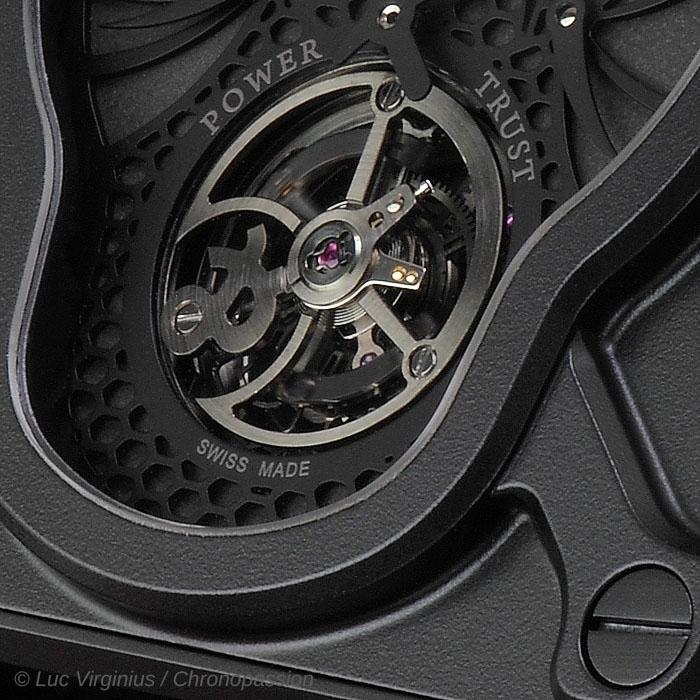 Power reserve indicator (five days). 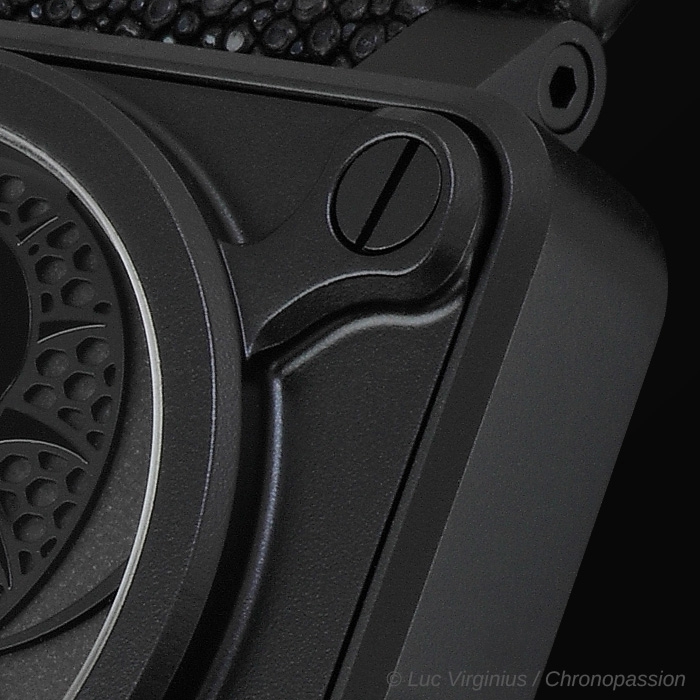 3d dial: photoluminescent black with mesh-like design.